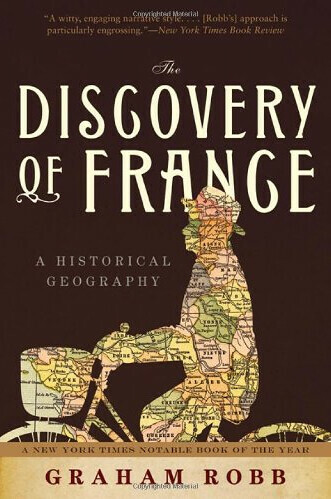 Graham Robb is the author of The Discovery of France, a book he researched by cycling 14,000 miles around France. He chats to us about cycling in France. Can you tell us about the very first time you cycled in France? In the early 1990s, researching a biography of Balzac. What's your most vivid memory of that trip? Crossing the Loire at Tours. I cycled as a child and walked as an adolescent. I learnt to drive a car in the United States, but stopped as soon as I returned to Europe, in 1986, and have never driven since. You researched the bulk of The Discovery of France (UK, US) by bike. How did your method of travel influence your research? This is from the introduction of The Discovery of France: "Cycling not only makes it possible to conduct exhaustive research into local produce, it also creates an enormous appetite for information. Certain configurations of field, road, weather and smell imprint themselves on the cycling brain with inexplicable clarity and return sometimes years later to pose their nebulous questions. A bicycle unrolls a 360-degree panorama of the land, allows the rider to register its gradual changes in gear ratios and muscle tension, and makes it hard to miss a single inch of it, from the tyre-lacerating suburbs of Paris to the Mistral-blasted plains of Provence. The itinerary of a cyclist recreates, as if by chance, much older journeys: transhumance trails, Gallo-Roman trade routes, pilgrim paths, river confluences that have disappeared in industrial wasteland, valleys and ridge roads that used to be busy with peddlers and migrants. Cycling also makes conversation easy and inevitable – with children, nomads, people who are lost, local amateur historians and, of course, dogs, whose behaviour collectively characterises the outlook of certain regions as clearly as human behaviour once did." How did you go about route-planning for your research trips to ensure you covered the whole country adequately? I simply listed all the places I needed to see, then joined the dots. I used Michelin maps for the overall itinerary, and the splendid IGN for the details. I also took ancient guidebooks and maps, to add a fourth dimension to the trip. Do you have any must-read books about cycling in France? Tim Hughes' Cycling in France (Crowood Press, 1996) is still one of the best practical books on cycling in France. Tim Krabbé's The Rider (Bloomsbury, 2002) is a literary masterpiece. You describe the bicycle as a "miraculous machine that opened up [France] to millions of people at the end of the nineteenth century". To what degree do you think the bike has continued to have an impact on the cultural landscape of France? Its impact is tiny, compared to that of the car. ('Car', incidentally, is one of the few modern words to come from ancient Gaulish.) But the bicycle is still an important element in village social life, especially on Sundays. Is it still possible to find pockets of France that are throwbacks to an earlier era, or has it all been discovered and explored? Every human habitation – even the suburban slums of Paris – is a throwback to an earlier era. It depends what aspects of earlier times you choose to consider. There are hamlets in the Aveyron or the Basque Country that have changed very little since before the Revolution. Certain scenes and forms of behaviour, even if they occur in modern settings, can seem surprisingly antiquated. 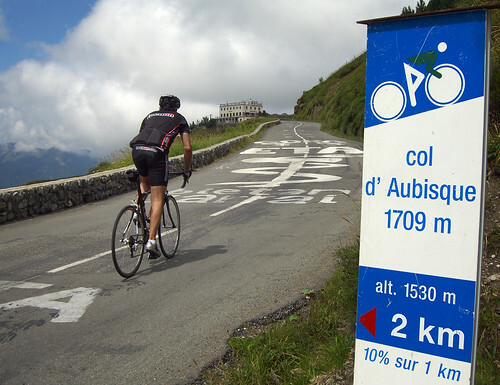 I once saw racing cyclists and touring cyclists screeching to a halt on the western decent of the Col d'Aubisque because a cow was giving birth in the road. Does your new book, Parisians: An Adventure History of Paris (UK, US), involve any cycling? The last story of the book describes my discovery of a col in northern Paris. How do you rate Paris as a cycling city? Safe, fast and exhilarating. I'd recommend cycling from one end of the Boulevard Saint-Germain to the other or negotiating the Place de la Bastille in the rush hour. If you could cycle anywhere in France, where would you go? The hardest day I ever spent on a bike in France – harder than any Alp or Pyrenee – was on the Beauce Plain, heading for Chartres against the wind. Parts of the Mediterranean coast, especially to the west of Marseille, are well worth avoiding, as are any parts where French drivers are not in the majority. What three things do you never cycle without? A Roberts touring bike, a digital camera and a paper map (torn into daily sections). The Discovery of France (UK, US) and Parisians: An Adventure History of Paris (UK, US) are both publishd by Picador in the UK and by W.W. Norton & Company in the United States.